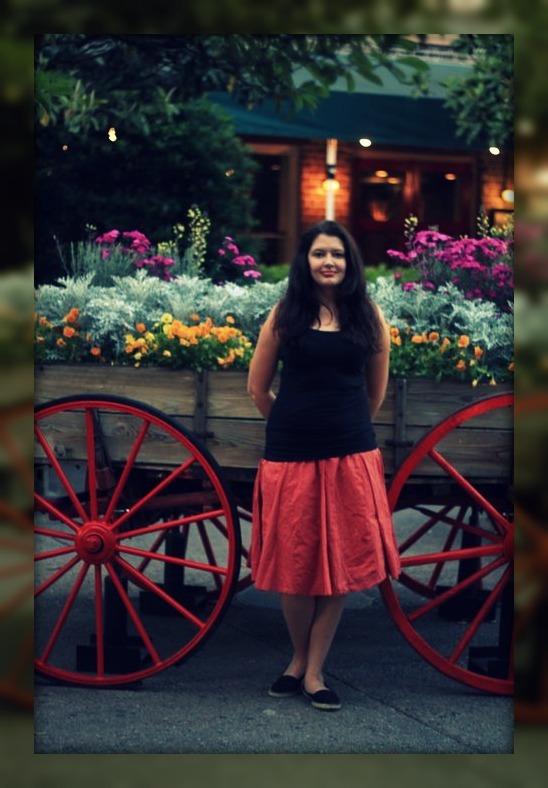 Sharing My Love of Travel, Adventure and General Craziness With the World. If you’re looking for the perfect mix of Southern food, culture and history then Savannah, GA is the place to be. From the moss-covered oak trees and cobblestone streets to the tasty treats and hospitality you won’t soon forget that you’re in the good ole’ South. Enjoying the sights and sounds of City Market. My first moments in this enchanting city were somewhat disappointing as I realized that the famous Mrs. Wilkes Dining Room was closed for the day. I was not aware of the odd business hours (Mon-Fri 11am-2pm) and pulled up with an empty stomach just as they were closing. Fortunately, Savannah has plenty of other top-notch dining opportunities. Soho South Cafe – The tag line here is “Where food is an art” and I couldn’t have put it any perfectly. You feel as if you’re eating in the middle of a quirky art gallery. The food is as equally amazing as the atmosphere. I ordered the salmon BLT with tomato bisque and left with a very pleased pallet. Expect a long wait if you get there during peak hours. Fiddler’s Crab House – This seafood restaurant is located on the famous River Street and is the perfect spot for people watching. The large windows open up to the street and give perfect views of the Savannah River. The balcony is a great place to enjoy a meal on warm weather days. The Olde Pink House – This 18th century mansion is the place to go for a romantic dinner with that special someone. The antique decor and original stone fireplaces throughout are a great accompaniment to the elegant and delicious Southern fare. I suggest the fried green tomatoes to start with. Firefly Cafe – I highly recommend this little gem for Sunday brunch. Not only is the location adorable but the food is amazing. The Savannah Eggs Benedict puts a new twist on the traditional with lump crab meat atop a poached egg and topped with hollandaise. It may be the best brunch dish I’ve ever eaten. 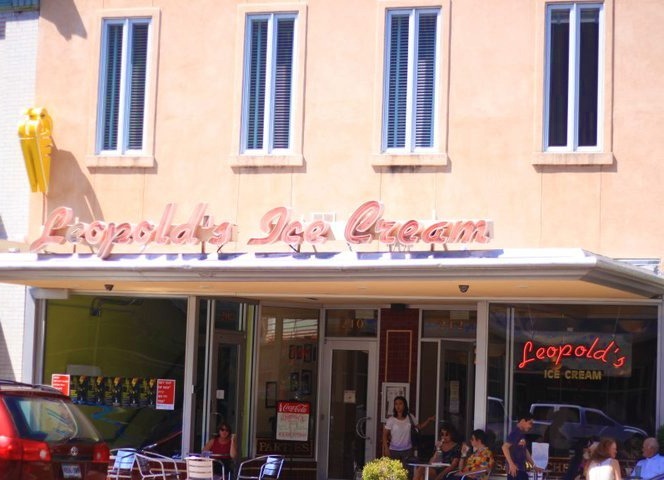 Leopold’s Ice Cream – Established in 1919, this popular establishment is the perfect place to cure that sweet tooth. Be prepared to wait in line but you won’t mind because the whole atmosphere surrounding this retro building on the corner of Gwinnett and Habersham streets is electric. Go back in time at Leopold’s. Cafe GelatOhhh – While Leopold’s is like walking into an old-fashioned ice cream parlor, Cafe GelatOhhh is the opposite with hip and interesting flavors like Burnt Caramel and Ricotta and Fig. Organic milk and cane sugar are the key ingredient in these delectable treats. Rocks on the Roof – This swanky late-night spot is a wonderful place to grab a cocktail and see the city from above. Many of the other bars dotted along River Street are filled with rowdy college students and bachelor parties while Rocks on the Roof caters to a more sophisticated audience. Located atop the Bohemian hotel you’ll appreciate the river view, especially at night. The view of Talmadge Memorial Bridge from River Street. While it’s easy to eat your through Savannah there are so many other attractions to enjoy. My personal favorite is to simply walk through any one of the 22 squares that are dotted throughout the historic district. If you’re lucky you’ll witness a wedding or two. Enjoy live music at City Market or take a short walk from there to the First African Baptist Church which is touted as having on of the oldest African American Baptist congregations and once housed escaped slaves as a stop on the Underground Railroad during the Civil War. 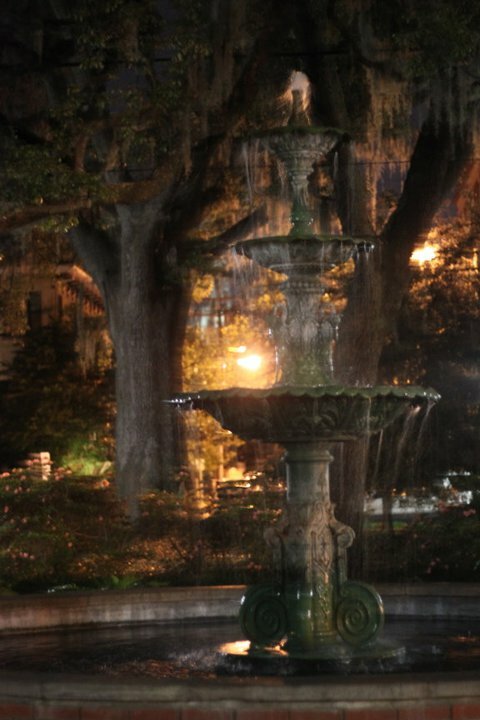 Give into the hype of Savannah being a stomping ground for ghosts and goblins by taking a late night ghost tour. Be sure to have an open mind as you walk around the historic district and listen to tales of murder and suspicious happenings. A stroll through the beautiful Bonaventure Cemetery will also get your mind wondering about other-worldly activity. 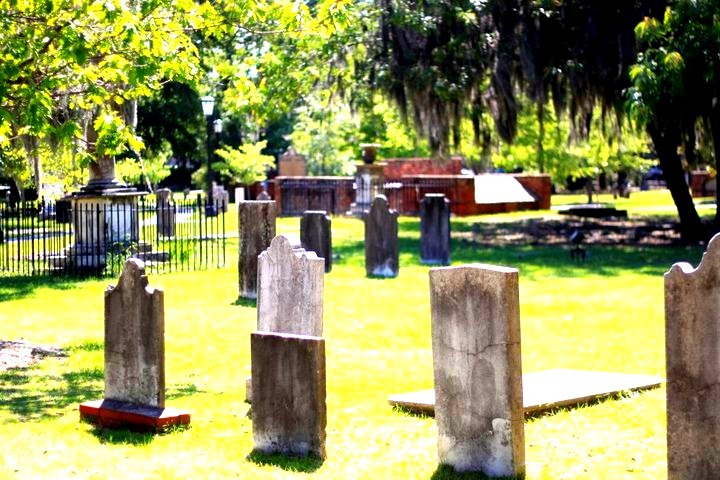 Savannah’s cemeteries are not to be missed. 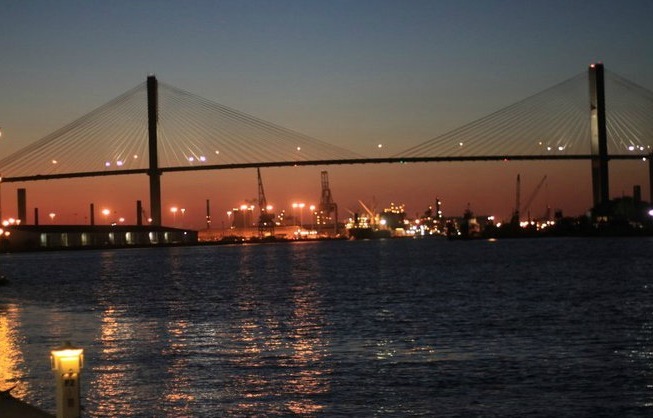 Whatever you choose to do while in Savannah you’re sure to have a good time so start planning now for your delightfully Southern vacation and enjoy.